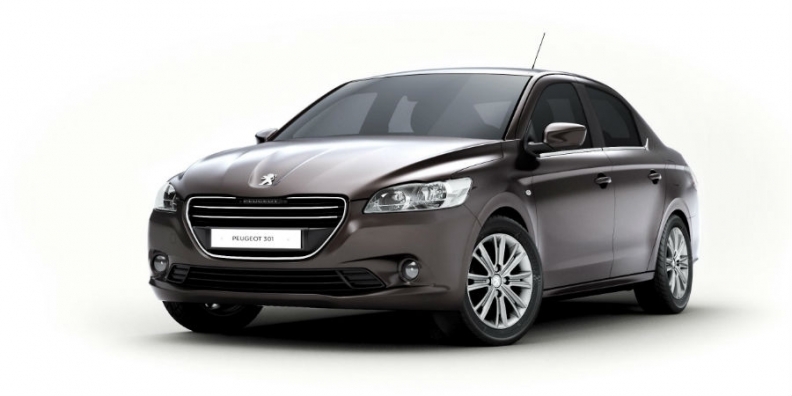 Peugeot's 301 sedan will be sold in emerging markets. It will debut at the Paris auto show in September. Peugeot says the launch of its 301 compact sedan will usher in a new car-naming system intended to avoid confusion between different generations and variants of the same model. Entry-level models such as the 301, aimed at emerging markets, will end in a one, while models targeted at mature markets will end in an eight. These include the 208 subcompact, 308 compact and 508 mid-sized car. Current models ending in a seven will be renamed on replacement. The significance of the first two digits in the current naming system, introduced in 1929 with the 201, remain unchanged. The first digit denotes the size of the vehicle, from the one of the 107 minicar to the eight of the 807 large minivan. The zero shows that the vehicle is a regular model, while a variant, 00, is used for the 3008 and 4008 crossovers to denote a high-roof model. Until now, the final digit has denoted the generation of the model. For example, the carmaker recently replaced the 207 subcompact model with the 208. Future generations of all models will now retain the new name. In a statement, Peugeot said that increased globalization of the brand had led to the decision to revise its naming policy. "Permanently fixing the numbers will simplify the understanding of the range and assist in establishing it," the company said.